Below are the Corporate approved messages for the Basic and Premium packages. (Basic) Homewatch Caregivers has a dedicated staff that is available 24 hours a day, seven days a week. Our highly trained caregivers are here to help maintain your loved one’s quality of life in the comfort and convenience of your home. Among our wide array of home care services, we offer assistance with bathing, dressing, oral hygiene, toileting, meal planning and preparation, exercises, transportation and more. We are also pleased to offer light housekeeping, laundry and linen services. Everything we do at Homewatch Caregivers is with the safety, comfort and well-being of your loved one in mind, right down to knowing their simple pleasures – from favorite foods to activities and music! (Basic) Not sure what type of care your loved one may need? Schedule your complimentary evaluation when we return to the line! Services can range from 4 to 24 hours per day, including weekends and holidays. With a complimentary evaluation that factors in safety, comfort, and interests, we can create a customized plan of care for your loved one! Our nurse will provide a free initial evaluation to determine the level of home care needed -- and to help you explore all the community resources available. (Basic) We understand that choosing a home care agency is no easy task. And every aspect should be considered – experience and trustworthiness of the caregiving staff, creativity of the scheduling team, and knowledge and experience of the nursing staff. At Homewatch CareGivers, we pride ourselves in our ability to understand our clients’ home care needs and to custom design the care they require. We understand that life is better when everyone feels connected, engaged and appreciated. We value open communication and are happy to answer any questions or concerns you may have. (Basic) Having trustworthy caregivers is one of the most important aspects of care at home. Here at Homewatch Caregivers, each and every employee undergoes multiple background checks and is vigorously screened, insured and bonded -- and most importantly, continuously trained to provide comfort and a professional level of care to every client we serve! Our caregivers are highly experienced and trained to care for clients with various types of dementia, MS, ALS, Alzheimer’s and Parkinson’s disease, brain injuries, cancer, heart conditions and more. When we say “Let our family care for yours,” we really mean it! (Basic) At Homewatch Caregivers we focus on listening to you and easing any concerns with our quality caregivers and customized care plans. Schedule your complimentary consultation today and let us begin the process of putting you and your loved one on the path to true peace-of-mind! After an initial consultation is completed, we can start our services immediately! We can provide a seamless discharge from a hospital or a transition from a rehabilitation facility back home. Our experienced caregivers will be with you every step of the way to make sure you are safely transitioned into the familiar surroundings and comfort of your home. Give us a try and let our family care for yours! (Basic) From meal planning and preparation – to errands and transportation, social engagement, medication reminders and assistance with personal care – Homewatch Caregivers is here for you to provide you or your loved one with the care and compassion they deserve! Our care focuses on the whole person, not just their condition. For a comprehensive over view of our services, please visit us online at home watch care givers dot com. (Premium) Welcome to Homewatch CareGivers of __(insert area)__, your premier home care service provider! 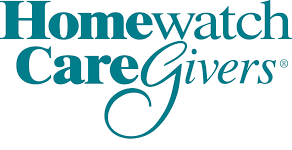 Founded in 2003, Homewatch Caregivers provides hundreds of __(insert area)__ residents with high quality home care services from one of our 180 professional caregivers! Having earned an A-plus Better Business Bureau Accreditation since 2004, we pride ourselves in paying special attention to the process of matching our clients with the right caregiver -- which allows us to consistently achieve a client satisfaction rate of over 96%! For more information about our services, please feel free to visit us online at home watch care givers dot com and also, be sure to follow us on Facebook, Twitter, LinkedIn, and Google Plus for important updates on all we do to serve the needs of families in the Triangle! Platinum Package - The Cadillac of Packages: With our Platinum Package, you have the freedom of customizing your paragraphs specifically to your agency! Maybe you want to let your callers know about your agency's accreditation, have them listen to a customer testimonial, or make them aware of an upcoming event. The possibilities are endless and entirely yours to customize as you see fit.